This post is brought to you in partnership with Mealthy. Check out their new Mealthy MultiPot! Did you know that slow cooker recipes are really easy to convert to the pressure cooker? As long as you keep a few basic rules in mind – like how much liquid to use and how to adjust the cooking time – turning your favorite all-day slow cooker recipe into a 30-minute pressure cooker special is straightforward and simple. YES, PRESSURE COOKERS ARE SAFE! In the past, you may have heard stories of pressure cookers being difficult or scary to use. There’s no need to be scared of pressure cooking these days, though! The electric ones are safe, quiet, and easy to operate. They basically work like slow cookers, except everything happens much, much faster. When you lock the pressure cooker’s lid in place and begin cooking, pressure builds up inside the pot as the food heats and liquids turn into steam. Once the pot reaches the proper pressure for cooking, a valve in the top of the pot pops up. This prevents any more steam from escaping the pot and closes the seal on the MultiPot. This valve also acts as a safety mechanism, making it impossible to open the pot while it’s under pressure. Additionally, sensors inside the housing of the pot detect when to raise and lower the heat to maintain the correct pressure as the food cooks so you never have to worry about too much (or too little) pressure building inside the pot. Once cooking is done, you can allow the pressure to gradually decrease on its own (which can take up to a half an hour), or you can hit the “quick release valve” and release the steam instantly. Some recipes are better with a natural release, and others can be quick-released – more on that below. One of the major differences between slow cookers and pressure cookers is that with a pressure cooker, the pot is completely sealed. The high pressure created within this sealed pot helps cook food much more quickly than in a slow cooker! With all of this in mind, here are a few tips and tricks to help you successfully convert your slow cooker favorites into speedy MultiPot meals. Since pressure cookers seal up during cooking, they don’t let a lot of moisture evaporate out of the pot or the food. This means that stews and braises require a little bit less water than they do when made in the slow cooker. Take, for instance, Elise’s recipe for Slow Cooker Guinness Beef Stew. When we converted it for the pressure cooker, we decreased the liquid by quite a bit (2 1/2 cups instead of 5). This way, the stew turned out nice and thick, even without much evaporation, and it took half as much time to make, too. You’ll also need to add liquid to a slow cooker recipe if it doesn’t have any to begin with! For a 6-quart pressure cooker, the general rule is to use at least a cup of liquid, though you can sometimes get away with a little less if you’re using ingredients that you know will release a lot of liquid as they cook. For instance, when converting Slow Cooker Mexican Pulled Pork to Pressure Cooker Mexican Pulled Pork, we added 3/4 cup of pineapple juice. The pork releases enough additional liquid as it cooks to ensure proper cooking overall. When you’re converting a slow cooker recipe, also keep in mind ingredients that absorb lots of water (like grains) or thicken the cooking liquid (like tomato paste). It’s important to include enough liquid in your recipe so it can properly come up to a rolling boil. Foods cook much more quickly in the MultiPot than they would in a slow cooker, so you need to adjust the cooking time of recipes accordingly. There are lots of time charts online for how long to cook different ingredients in a pressure cooker. We like Mealthy’s Cheat Sheet, since it’s really concise and includes a lot of foods we cook often. A good rule of thumb is to determine the ingredient that takes the longest amount of cooking, and set the pressure cooker based on that. For our beef stew, the stew meat is the ingredient with the longest cooking time. We chose to set the cooking time for 30 minutes, resulting in meat that’s fork-tender without being so soft that it falls apart completely. It’s safe to do a quick release if the pot is less than half full, and doesn’t include any foods that have a tendency to foam up or expand a lot. It’s safer to let the pressure release naturally if you’ve got a really full pot, or if the recipe includes foods that tend to expand or foam up, like grains and beans. In our recipe for Pressure Cooker Baked Beans (converted from our recipe for Slow Cooked Baked Beans), we let the pressure release naturally. The combination of the thick cooking liquid and beans is a double whammy, so you want to be extra careful and wait for the pot to release pressure on its own. This ensures that you won’t end up with a spattered mess, and it helps the beans cook through very evenly, too! This is a big one! So many slow cooker recipes are cheesy or creamy, but in a pressure cooker, dairy tends to curdle, scorch, or spurt out the pressure valve. 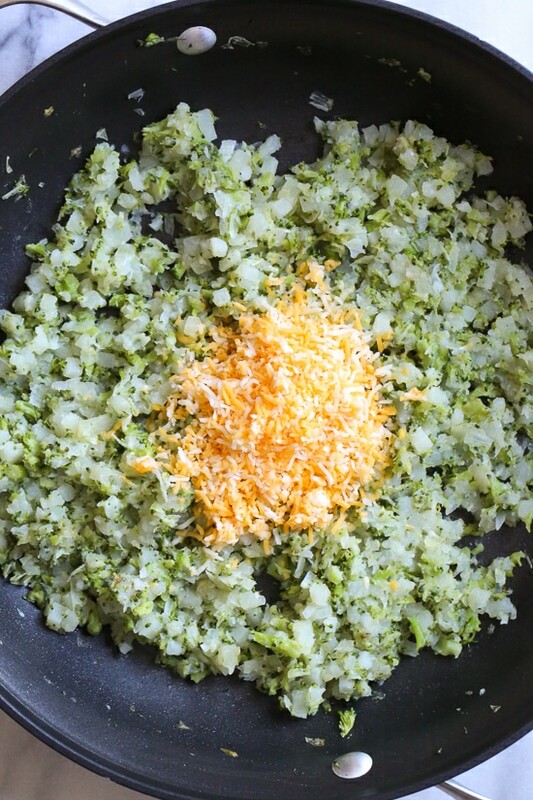 When making creamy or cheesy recipes, wait until the pressure has fully released before stirring in dairy ingredients or melting cheese melt on top. The one exception to this rule is pot-in-pot recipes, where you’re actually cooking the food in a separate pan that rests on top of a steam rack inside the pot, with water underneath (see image, below). The dairy never comes in contact with the bottom of the pot, so you don’t have to worry about scorching. One example of this is our Pressure Cooker Cheesecake, which cooks inside the pressure cooker in a springform pan. Did you know you can cook both rice and pasta under pressure?! This saves tons of water, especially for pasta! For pasta in the MultiPot, use a 1:2 ratio (by weight) to determine how much water or broth to add. For instance, a pound of macaroni requires a quart of liquid. For grains, you can refer to that cheat sheet mentioned above. Some slow cooker recipes require adding ingredients like frozen peas, canned beans, or fresh herbs near the end of cooking. You can do the same thing with the MultiPot. Once the pressure has released, just open the pot and stir in the ingredients. If the ingredients need to be warmed up before you serve the dish, press “Cancel” to reset the cooking program, then select the “Sauté” program — just like you can use this MultiPot feature to brown or sear ingredients at the beginning of a recipe, you can also use it after cooking under pressure, too. When the food is ready, press “Cancel” to turn off the pot. We hope these tips are helpful and make cooking MultiPot meals a total breeze. Let us know what slow cooker recipes you’d love to see made in an electric pressure cooker here! Curious about the Mealthy MultiPot? Check it out HERE! 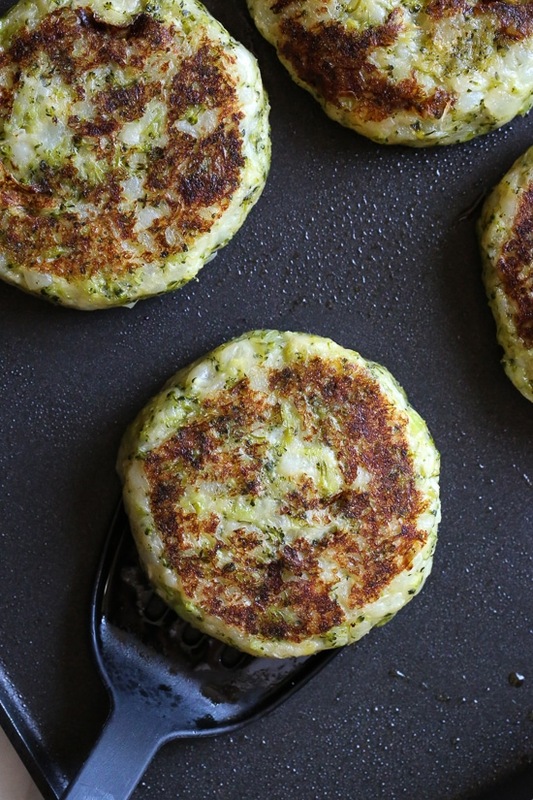 And take a look at THESE GREAT RECIPES FROM MEALTHY! A simple, delicious breakfast bowl (aka sautéed breakfast salad) with sautéed greens, roasted veggies and two fried eggs! 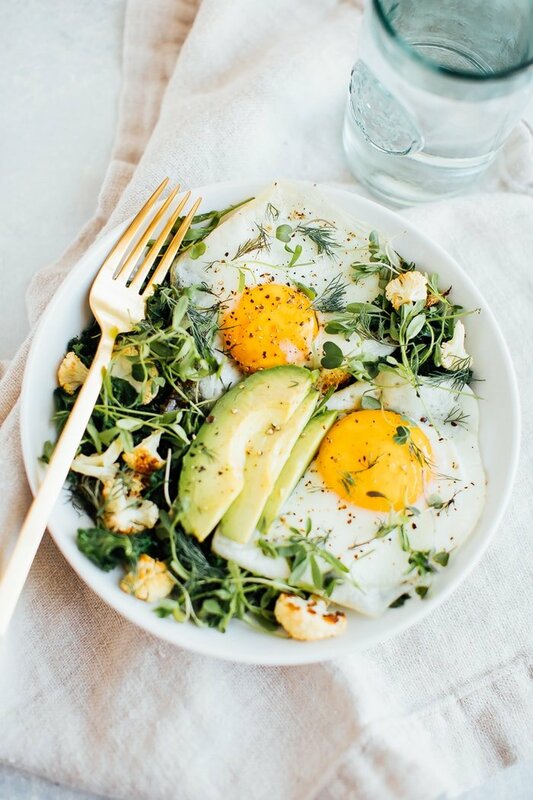 You’ll feel so good after starting your day with this combo of protein, healthy fat and veggies. Low carb, gluten-free and vegetarian. Ready for one of the easiest breakfast recipes ever? This recipe was inspired by two things: my love of salads and my sweet + savory egg and oatmeal combo bowl. This bowl just has less grains and more greens! I know some people think a salad for breakfast is weird, but in case you haven’t noticed I’m attempting to change your mind. 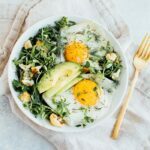 Previously I’ve posted a fall harvest breakfast salad and a blueberry breakfast salad, but today we’re getting even more classic — a breakfast bowl with veggies and eggs! I love the combination of textures and flavors. It reminds me of something you would find at a trendy brunch restaurant. You start your day off with loads of veggies right off the bat! Hello energy! You can check off your #saladeveryday… before noon. You can make this recipe work for your taste buds. Like a particular green? Want a low carb breakfast — stick with low carb roasted veggies like cauliflower. Need more energy? Toss in some roasted sweet potatoes! Just don’t forget the dill! I’ve shared my love for dill on my Instagram stories but I have to make sure all of you know about my secret salad weapon. Are you a fan of dill? I feel like my childhood consists of dill-packed potato salads and pickles which left a literal bad taste in my mouth. I’m so glad I decided to give dill another chance as an adult because it is a game changer with salads! It elevates all of the flavors to a whole new level. It brings a level of freshness, allows all of the flavors to shine, and leaves a little kick in your mouth (in a good way!). Buy one pack of fresh dill and use a little each day throughout the week for some tasty salads! Promise me you’ll give dill a chance, mmk? And don’t forget to snag some microgreens while you’re at it — these babies are so nutrient dense and make salads look so pretty. 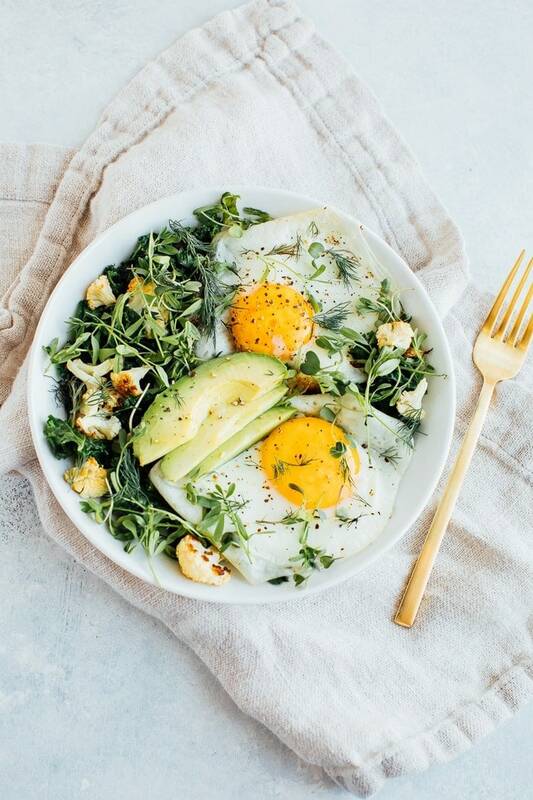 This bowl is packed with sautéed greens, two fried eggs and roasted veggies! 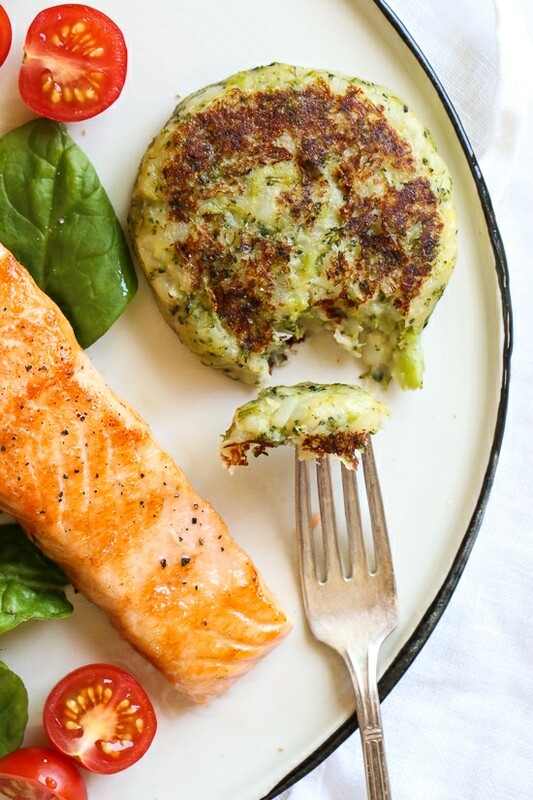 You’ll feel so good after starting your day with this combo of protein and healthy fat. Heat 2 teaspoons oil in a large skillet over medium heat. Once hot add onion and sauté for about 5 minutes. Add greens and roasted cauliflower and toss to combine. Sprinkle with sea salt. Cook, stirring often, 2 minutes or just until greens begin to wilt. Transfer veggies to a salad bowl and then crack two eggs into the same pan, adding a little more oil if needed. Cook eggs to desired consistency (I like mine sunny side up) sprinkle with salt and pepper and place on top of sautéed greens. Top bowl with microgreens, fresh dill and sliced avocado. Serve with more salt and pepper and hot sauce if desired. For roasted cauliflower/sweet potatoes: Spread 3-4 cups of chopped veggies on a large baking sheet or stone and toss with 1-2 teaspoons avocado or olive oil, salt and pepper. Roast for 20 minutes at 425°F or until the veggies have browned and become tender. Be sure to toss the veggies at least once while roasting. I can’t wait for you to try this sautéed breakfast salad! Once you do, come back and leave me a comment (and a star rating) letting me know how it turned out for you! 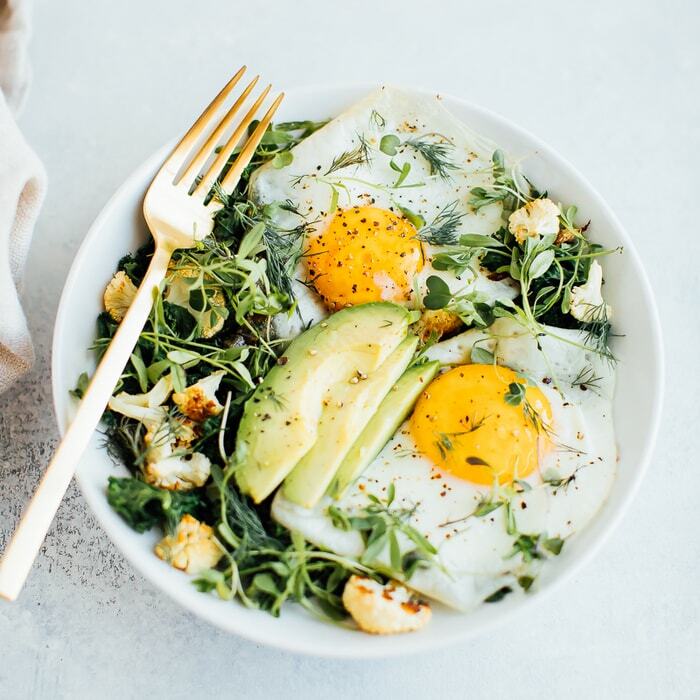 The post Egg and Greens Bowl aka Sautéed Breakfast Salad appeared first on Eating Bird Food. Back when we lived in Austin, rhubarb season existed to me only via Instagram. Rhubarb didn’t grow where we lived, and I didn’t quite understand why there was a sudden explosion of rhubarb recipes all over the internet every spring… until now. After the longest winter ever, our farmers markets are open again(!) and the first types of produce to appear have been asparagus, rhubarb, and… cheese. Yes – I think cheese is considered a vegetable here in the midwest. 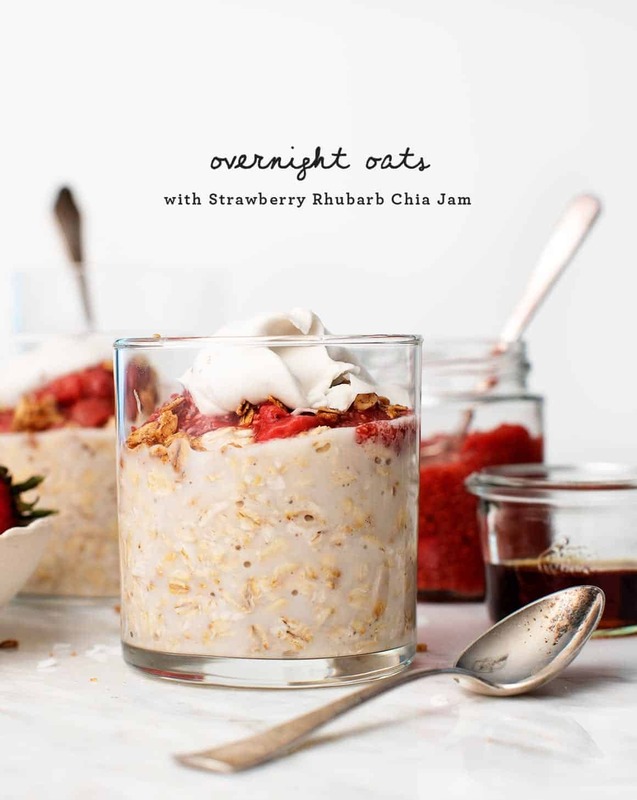 So far, I’ve only used rhubarb to make crisps, crumbles, and this strawberry rhubarb chia jam that has been delicious dolloped on breakfast foods like almond butter toast and these overnight oat parfaits. Other than that, I’m a total rhubarb newbie. If you have a unique rhubarb idea (maybe even a savory recipe idea?) please tell me about it! But first, this chia jam. It’s based on the yummy blueberry chia jam that I made at the end of last summer. At first, I thought the rhubarb might be too tart or too firm to jam up in the same way, but it’s perfectly tangy and deliciously sweet and thick. I’m back on an oat kick, so… overnight oat parfaits! All of these components can be made ahead and quickly assembled in the morning. I like to top mine with a little granola for crunch and a drizzle of maple syrup. When we took these photos, I also happened to have coconut cream in the fridge (leftover from this tart recipe) which was a fun and fancy addition to these parfaits. Make the jam. 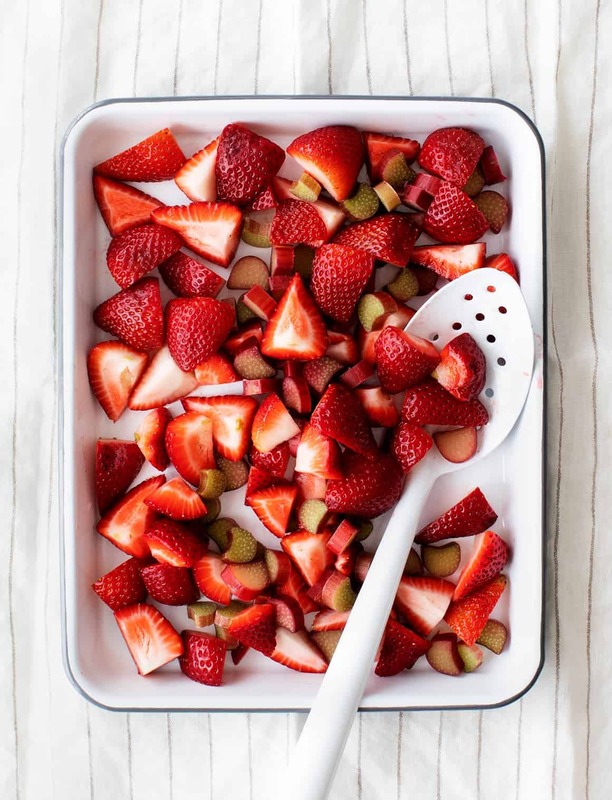 In a small saucepan over medium heat, simmer the strawberries, rhubarb, lemon juice, and salt for 10 minutes, stirring often so that the fruit doesn't burn to the bottom of the pot. Remove from the heat and stir in the maple syrup and chia seeds. Let cool to room temperature, 20 to 30 minutes (the rhubarb will continue to soften). Transfer to a jar and chill for at least an hour. Make the oats. Divide the oats into 2 glass jars, pour in the almond milk, a pinch of salt, and maple syrup, if desired. Stir, cover, and chill overnight. In the morning, assemble oat jars with a generous scoop of the chia jam. If desired, serve with granola, (the crunch is a nice contrast to the soft oats), maple syrup for extra sweetness, and coconut cream if you’re feeling like a decadent breakfast. Not your typical salad, we know. But with the first local strawberries of the year making their appearance here in Scandinavia, a cookie salad seemed like an appropriate way to celebrate. Our everyday way to enjoy local strawberries in June and July are simply served in a bowl with just a dash of oat milk or cream. Delicious as that may be, it is not a recipe to blog about (even if I’m a big fan of two-ingredient recipes) or to celebrate summer with. Hence, this cookie salad. We bake a giant cookie that we smash (!) and apart from the childishly pleasing feeling of doing that, all those oddly sized bits and pieces also are what makes the salad interesting. And when mixed with juicy berries, whipped cream and tiny elderflower florets, you have a great mix of textures and flavors. It is also a pretty looking dessert, a very simple and good one to make for your friends or family. You can bake the cookie ahead of time (or use any store-bought cookie) and ideally, you want to smash the cookie and assemble the salad in front of your guests. We’ve gathered a few recipe notes and suggestions how to change it up here below. But first, check out the recipe video we made. Luise is doing a little intro talk in this video and we’d love to hear if you like us to develop this style more, or if you prefer them with just music. We are having a bit of hard time deciding ourselves. We are planning some more videos (and a new video series) so subscribe to our youtube channel, if you haven’t already and you won’t miss out on any of it. • We made the cookie vegan to make it as inclusive as possible but you can replace coconut oil with butter if you are more into that. Vegans would obviously also use whipped coconut cream or whipped soy cream. • Use cert gluten-free oats if you are gluten intolerant. • The buckwheat flour can be replaced with regular flour if you like. • You can make this into an Eton Mess by adding a larger amount of cream (and maybe even meringues) and serving it in glasses. • You can swap the whipped cream for greek yogurt and serve this as a weekend breakfast. Or do 50/50 cream and yogurt for a more tangy dessert. • If you have mint or lemon balm at home, those would be great additions to the salad. • You can add any edible flowers and they are of course also entirely optional. • If your berries are imported or not sweet enough, simply drizzle a little maple syrup, honey or elderflower syrup over the salad. Set the oven to 200°C/400°F. Mix together the dry ingredients in one bowl. Add maple syrup, plant milk and coconut oil. Stir together and let sit for 20 minutes to allow the chia seeds and oats to thicken. Pour onto a baking sheet covered with a baking paper. 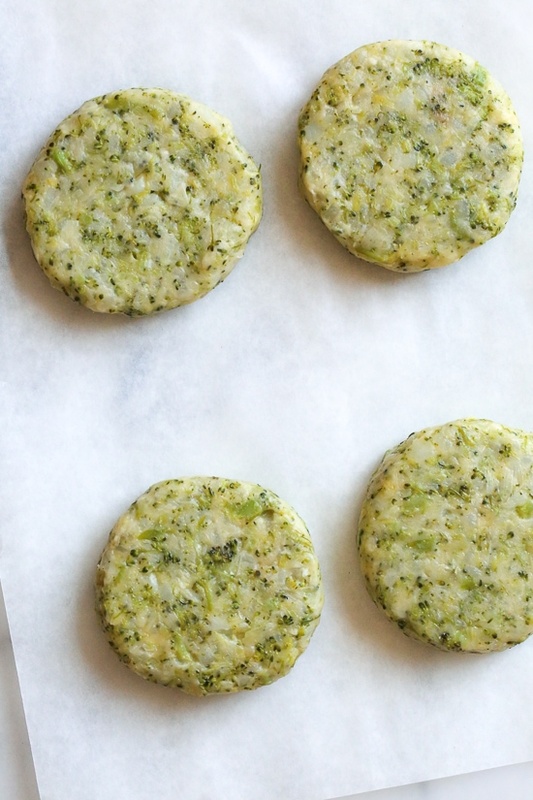 Flatten out and shape a large, round cookie using your hands. Bake in the oven for about 20 minutes or until golden. Leave to cool and crisp up and then crush the cookie into large pieces. Rinse the strawberries, cut in halves and place in a ixing bowl. Add grated ginger, lemon juice and a few elderflower florets, let sit while you whip the cream or coconut cream. Then transfer the juicy strawberries to a large serving platter. Add dollops of whipped cream (or yogurt) and tuck in the pieces of broken cookie. Scatter over the cookie crumbles and decorate with more elderflowers and lilacs. Serve & enjoy! Have all your ingredients prepped saving the potatoes for last as they brown quick once peeled and cut. To prevent the potatoes from browning, you can put them in a bowl of water until ready to cook. 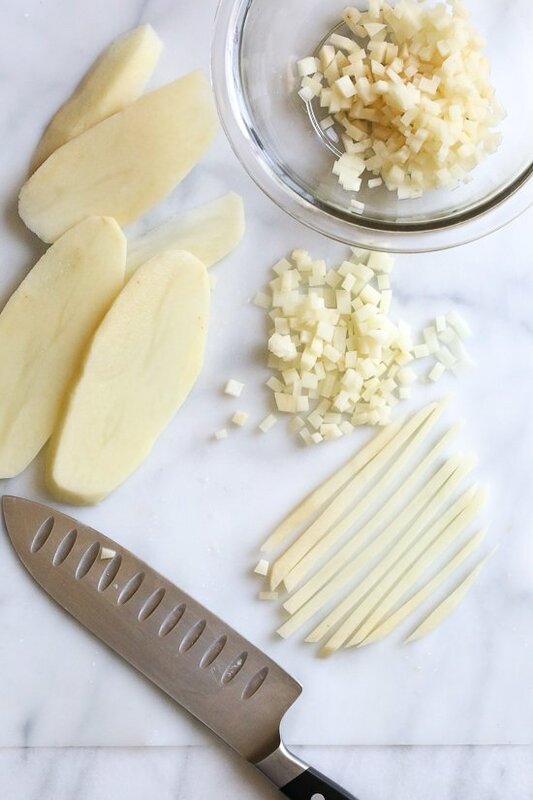 You’ll want to cut the potatoes in very small cubes, to do this I cut the potatoes with a sharp knife into thin slices, then into strips. I prefer not to use a food processor, it turns the potatoes brown. You can also double or tripe the recipe and freeze the rest. To freeze, flash freeze until firm, then wrap them tight in plastic or foil. To bake from frozen, preheat the oven to 390F, bake frozen 25 minutes. *It’s best to peel the potatoes last as they get brown fast. Once you cut them into cubes, it’s best to leave them in a bowl of water to prevent them from browning. Drain before cooking. 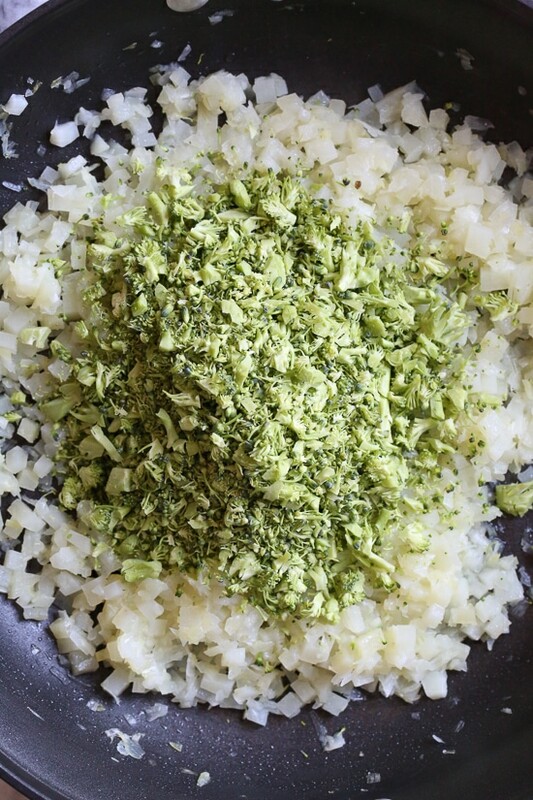 In a medium skillet over medium heat, add the oil, leeks, onions and garlic and cook 4 minutes, until soft. Meanwhile, chop the potato into 1/8th inch dice. The best way to do this is slice them into 1/8th inch strips, then cut the strips into small cubes. Add the potatoes, salt and 2 tablespoons of water, cover and cook medium-low heat until soft, about 10 minutes. 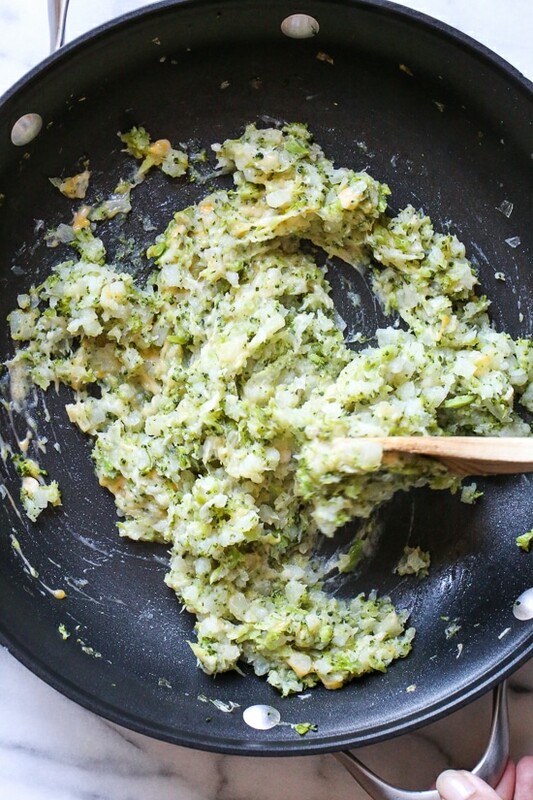 Add the broccoli, 2 more tablespoons of water and cook covered 15 minutes, stirring occasionally, until tender. Add the cheese and roll into 4 balls, about 1/2 cup (3 1/2 ounces) each. Flatten to form cakes. 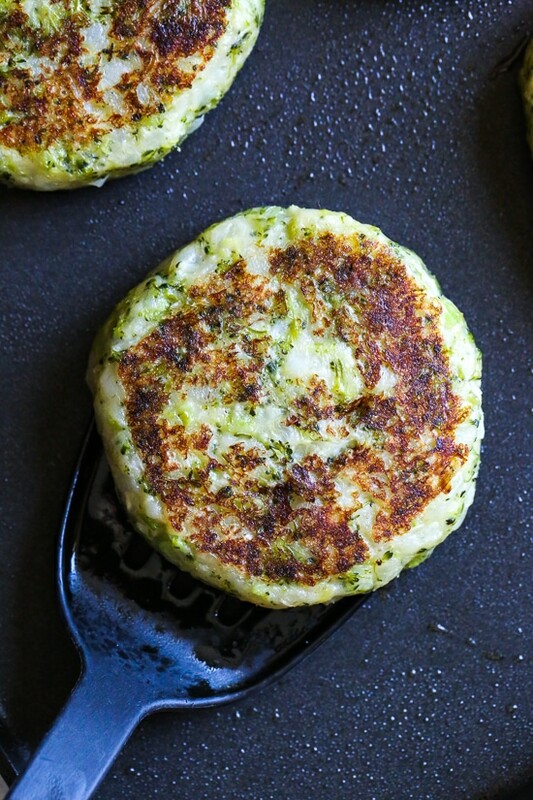 To cook, heat a large skillet over medium heat, cook 4 to 5 minutes until the bottom is golden, gently flip and cook and additional 4 to 5 minutes. You can freeze whatever you don’t eat. To reheat from frozen, bake in 390F preheated oven 25 minutes. 2 Preheat the oven and prepare pans: Preheat the oven to 375°F. Lightly spray two full-sized donut baking pans with nonstick cooking spray, and set it aside. 3 Mix dry ingredients: In a medium bowl, whisk together the flour, sugar, cocoa powder, baking powder, baking soda, cream of tartar, and salt until smooth. 4 Mix wet ingredients: In a separate medium bowl, whisk together the oil, flax egg, vanilla, vinegar, and non-dairy milk until smooth. 5 Combine dry and wet ingredients: Pour the dry ingredients into the wet ingredients and stir to combine, making sure all the dry bits are incorporated. 6 Fill the donut pan: Use a kitchen spoon to scoop the dough into the wells of the donut pan, stopping when each is almost full (these donuts don’t rise a ton, so I fill the indents almost to the top). The dough will be thick and sticky, so use your fingers or the back of a spoon to gently press it into the indentation. 7 Bake: Bake donuts for 9 to 10 minutes, or until they spring back to the touch and a toothpick inserted into the center comes out clean. 8 Cool: Allow donuts to cool in pan for 5 minutes, then remove from the pan and transfer to a wire rack to cool completely. 9 Make the glaze: In a small bowl, whisk together the powdered sugar and cocoa powder. Be sure there aren’t any clumps, and if there are, sift the ingredients so your glaze will be smooth. Add 2 tablespoons of non-dairy milk and whisk well. You’re looking for a smooth, pourable glaze. If your glaze is too thick, add additional non-dairy milk one tablespoon at a time until you reach the desired consistency. 10 Glaze the donuts: Cut a piece of parchment paper the same size (or slightly larger) as your wire cooling rack and place under your cooling rack to catch drips. Dip one side of each doughnut in the glaze and place glaze-side up on the cooling rack. Allow any excess to drip off. 11 Sprinkle and serve: While the glaze is still wet, sprinkle the tops of each donut with colorful sprinkles. Let the donuts set at room temperature for at least 25 minutes to allow the glaze to firm up. Serve immediately, or cover leftovers and store at room temperature for up to 1 day. 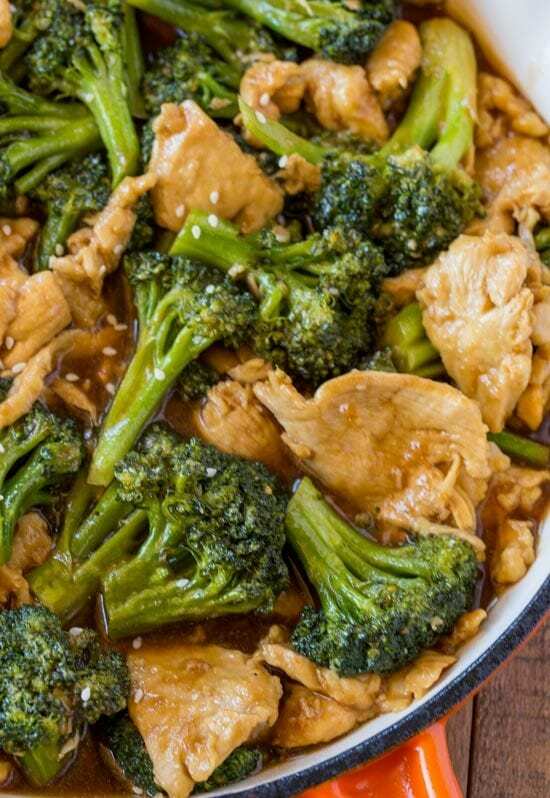 Chicken and Broccoli Stir-Fry made with lean white meat and lots of broccoli in a ginger and garlic stir-fry sauce that’s an easy and quick weeknight meal or the perfect meal prep recipe for easy lunches all week long. Asian takeout doesn’t have to be loaded with fat and calories, a few great examples of that are these Skinnytaste favorites: General Tso’s Chicken, Orange Chicken Makeover, Asian Lettuce Wrap Chicken Chopped Salad, Teriyaki Chicken and Asparagus Stir-Fry and Asian Peanut Noodles with Chicken – Lightened Up to name a few. 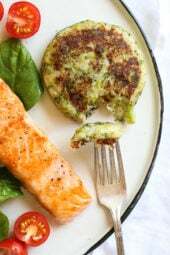 Hey everyone it’s Sabrina again from Cooking with Points, a healthy recipe blog dedicated to easy weeknight meals with a focus on Weight Watchers smart points. This month I’m sharing a quick and easy stir fry recipe that will cure all those takeout cravings without all the heavy point-y fried flavors. This stir fry is full of garlic and ginger in a soy and sesame sauce that you’ll want to spoon over all your favorite grilled meats too. Over on my blog we’ve been working our way through a lot of Chinese takeout favorites including Moo Shu Pork, Black Bean Chicken, Teriyaki Chicken, and my favorite Orange Shrimp (which you could also use to make a skinny orange chicken!). When it comes to making Chinese stir-fry recipes one of the most important things in making it authentic is the way you slice your chicken. I review this on my site for each stir-fry dish too, the thinner the chicken the more tender and the better for reheating too as it won’t have a chance to get to “tough” to chew. The trick to making your stir-fries look like they came from the restaurant is to cut them into a thin matchbox shape so they have very little toughness to the pieces. To do this we freeze the chicken for about one hour before slicing. When it is partially frozen you can easily slice the chicken very thinly against the grain. Don’t worry about the chicken being frozen, since the slices are so thin they will thaw back out in just a couple of minutes. By cutting against the grain we are making the bites very tender and easy to chew through, especially upon reheating! 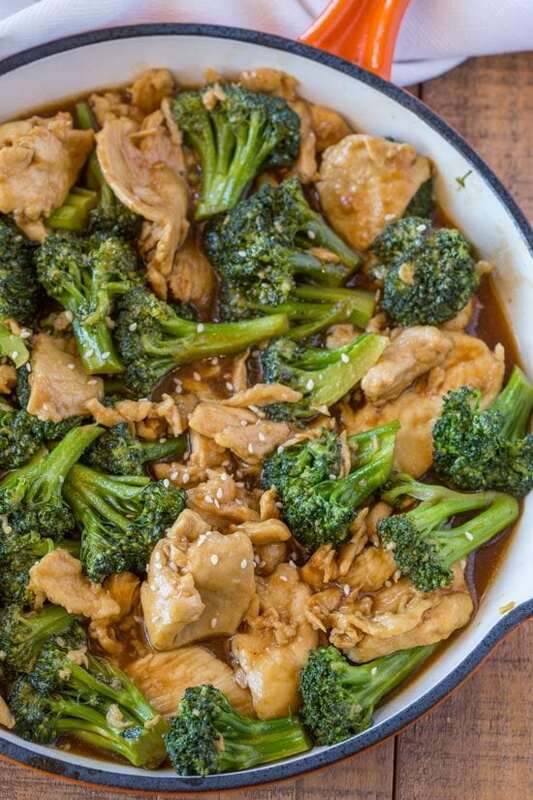 Can you meal prep this Chicken and Broccoli Stir-Fry? You can certainly cook the meal ahead of time and re-heat throughout the week. I suggest cooking the broccoli one minute shy of the instructions so it can maintain some crunch in reheating. To reheat use a microwave at half power for 1-2 minutes to prevent overcooking the chicken or the broccoli. You may also want to add a couple more tablespoons of water to the dish or not cooking it until the sauce is super thick. By letting the sauce stay a bit looser it’ll result in a better meal when re-heated. 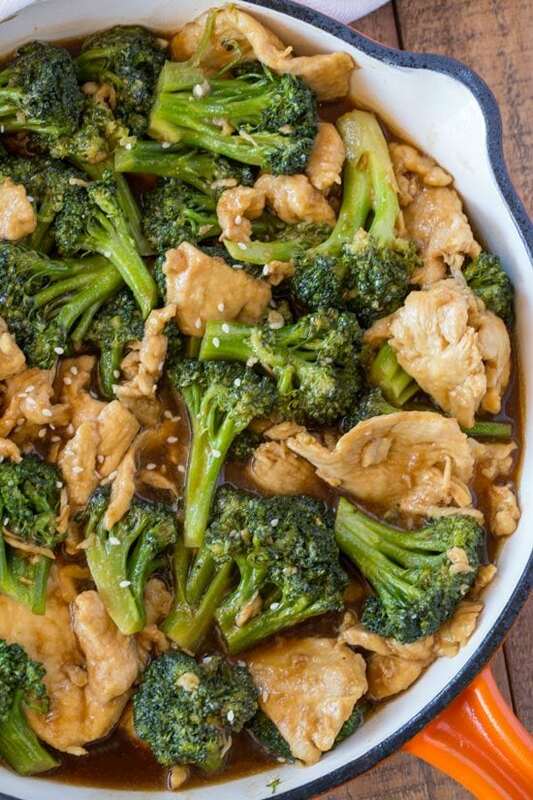 In a large measuring cup or bowl add the soy sauce, chicken broth, cornstarch, mirin, sugar, sesame oil and white pepper and whisk until everything is completely dissolved. In a large skillet add one teaspoon canola oil on medium high heat and cook half the chicken until just cooked through, about 2-3 minutes on each side. Repeat with the second half of the chicken and an additional teaspoon of oil. Add in the remaining oil, garlic and ginger and cook for 30-45 seconds until very fragrant but not browned. Stir the garlic and ginger well and add in the sauce, whisking well. Add in the broccoli and let the sauce cook for 2-3 minutes until thickened. Add in the chicken and stir well to coat. What’s for dinner? The question never stops being asked or needing to be answered! If you’re a vegetarian, or just really like eating that way often (like I do), it can be especially easy to fall into the same defaults: breakfast-for-dinner, soup, pasta, tacos. Looking for a quick way to get back on track after an indulgent weekend of eating all.the.things? I have seven tips AND a one day ‘back on track’ meal plan that will have you feeling better in no time! This blog idea came to me after my friends bachelorette party in Austin, Texas a few weeks ago. We had so much fun, but also indulged in so many margaritas and tacos. Cinco de Mayo + BFF Bachelorette is quite the combo! Again, it was an amazing time but I definitely indulged and didn’t feel too hot when I got back home. I posted about this on my Instagram because I don’t think food guilt is talked about enough. It’s a real thing and it’s something that affects a lot of women — especially those of us who have a history of dieting, are currently trying to lose weight, or are health-focused. Through embracing intuitive eating, which was critical to healing myself from hypothalamic amenorrhea, I feel like I now have a really good relationship with food. I rarely feel guilty about what I eat, but occasionally the feelings creep back in. Luckily these days I can recognize the negative feelings and choose to focus on the positive and move on rather than feeling like I have to restrict myself to reverse “the damage” I did. In reality, our bodies are amazing and can bounce back fairly quickly after a weekend out of your routine. It’s important to remember this — celebrations are a normal part of life and it’s totally okay to indulge… especially at your bestie’s bachelorette ? So, even though I was feeling a bit bloated and heavy, I knew there was no reason to feel guilty and that my body would balance out quickly. So instead of making any drastic changes after a weekend like this, I just stick to simple, healthy habits that make me feel my best. Back to basics! With that said, if you’re looking for a game-plan for feeling better after an indulgent weekend my top tips are below I’ve also created a FREE one day sample meal plan to help you get back to feeling your best. Just fill out your name and email address below and it will be delivered to your inbox. 1. Drink water! This is my #1 tip and should be your priority after an indulgent weekend. If you’ve been drinking alcohol, eating foods rich in sodium or just not focusing on your water intake, you’re likely dehydrated! 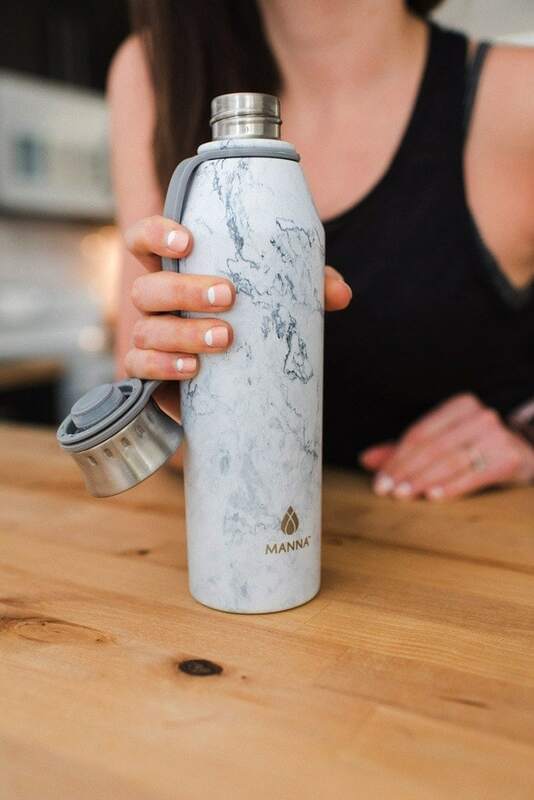 Our body needs water to process and clear waste — think of water as a literal flush to your system and drink up. Bonus points: add some fresh squeezed lemon to your water. It will help with digestion and boost your immune system. 2. Sleep. Do you feel like you get sick after every indulgent weekend or weekend of travel? It’s likely because you’ve been staying up later than usual or simply not getting enough quality sleep. Get back on track with your sleeping habits because sleep is king when it comes to our health! Read all about the health benefits of adequate sleep here. 3. 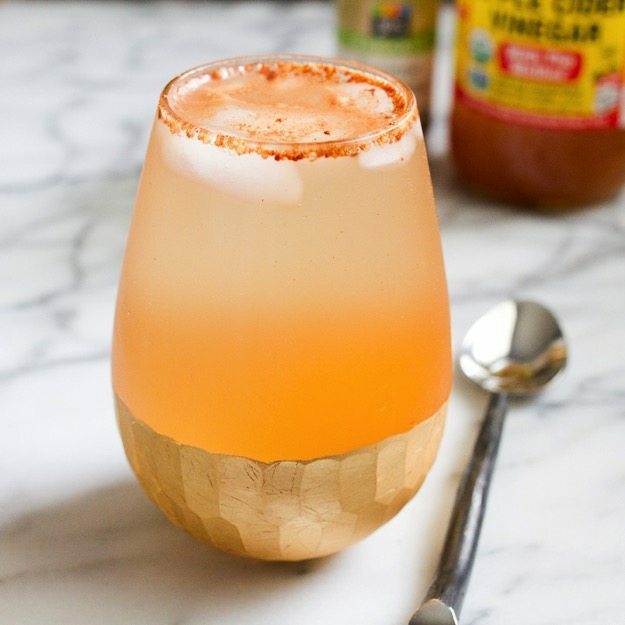 Sip apple cider vinegar. I swear by ACV and make one of these ACV drinks is part of my daily morning routine almost every day. Of course when I’m traveling it’s not always possible so I hop right back on my daily ACV regimen as soon as I get home. I love the gentle detox effects of apple cider vinegar. Check out this blog for all of the health benefits of ACV! 4. Stick to one-ingredient foods. After a weekend of indulging or eating a ton of sugar it’s likely your body might still be craving heaps of food or sugary treats. To keep yourself full load up on single-ingredient foods with a mix of lean protein, healthy fats and fiber-rich carbs like veggies. If you’re still craving sugar and need a fix, opt for fiber-rich, low-sugar fruits like berries to satisfy the craving. 5. Eat a salad. You know me, I believe in the power of salads! Salads are a great way to get a ton of veggies in and after a weekend where nutrients might not have been a priority, they taste oh so good! Have you ever noticed how your body craves wholesome food after a few days of junk food? Our bodies are so smart! I highly recommended the habit of replacing one meal a day with a meal-sized salad. Not a small, sad salad — a big salad that is loaded with lean protein, healthy fats and complex carbs. 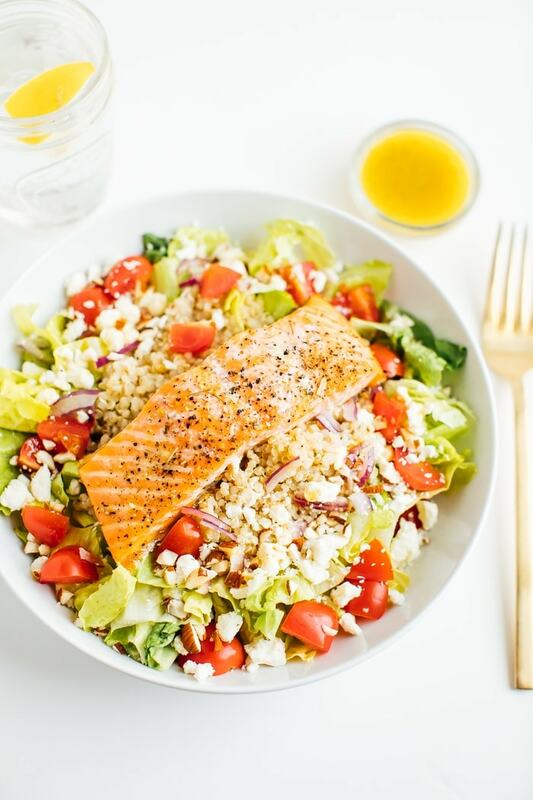 Check out this post for tips for how to build a healthy meal-sized salad. 6. Get back into your regular workout routine. 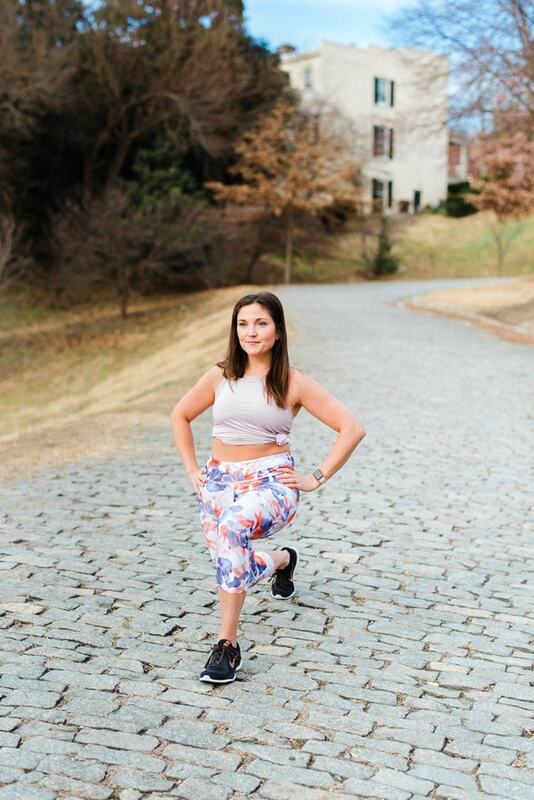 It’s so easy to fall out of routine when it comes to workouts so make the conscious decision to jump right back in! No need to do anything extreme that leaves your body feeling even more drained, just get back into your normal workouts. That first workout back might be tough during the process, but you’ll feel so good afterward. Need some workout motivation? Check out all the workouts I have posted here. 7. Give yourself a little grace. Think about what you would say to a friend who told you that they had an indulgent weekend. You’d likely say it’s no big deal — that one weekend is nothing in the grand scheme of things and that after a couple days of drinking plenty of water and getting nutrient dense foods they’ll be feeling 100% again. Once you have in your head how you would treat a friend in this situation… say those exact same things to yourself and trust that your body will naturally balance itself out. I hope these tips for getting back on track are helpful! I also filmed a What I Eat in a Day video right after the bachelorette weekend so you can see what my balanced “get back on track” meals look like AND I created a FREE one day sample meal plan to help you get back to feeling your best. Just fill out your name and email address below and it will be delivered to your inbox. If you like some sweet heat, marinate your chicken thighs in this chili garlic sauce. They cook quickly on the grill and are especially good served with white rice. It’s finally grilling season and I couldn’t be more excited to spend afternoons outside with my friends and family, making great food on the grill. I like making burgers and hot dogs as much as the next person, but for me, this chili garlic chicken has become my favorite reason to light the grill. The marinade for this chicken uses chili garlic sauce (I like Huy Fong), which you can find in almost any supermarket these days. Look for it near the Asian ingredients or the other condiments. Chili garlic sauce is spicy and flavorful, and a few tablespoons of it goes a long way to season your marinade. The honey in the marinade balances the spiciness, so don’t skip it! I prefer to buy a whole chicken and butcher it into parts, but you can use any mix of chicken pieces for this recipe. Skin-on, bone-in pieces are my preference for the grill. The skin gives the chicken some protection from the high heat of the grill, keeping it juicier. While you can use skinless pieces, there’s more risk of overcooking it. If you do decide to substitute skinless pieces, reduce the cooking time by 5 to 10 minutes and make sure to use a digital thermometer so you will know when the chicken is cooked through. IF YOU DON’T HAVE A GRILL . . . If you don’t have access to grill, have no fear. Marinate this chicken and then sear it, skin side down, in a hot cast iron skillet. Transfer it to a 375°F oven to finish roasting (skin side up) until it reaches an internal temperature of at least 165°F. Again, you can substitute skinless pieces with this method, but check them regularly with a thermometer so they don’t dry out. This chili garlic chicken is great over rice because the rice soaks up the sauce and juices, but you can also serve it on top of salad greens for a lighter option. Enjoy grilling season! 1 Marinate the chicken: Whisk together olive oil, chili garlic sauce, honey, rice wine vinegar, and minced garlic. Add chicken to the marinade in a covered container and let it marinate in the fridge for at least 30 minutes or overnight. 2 Prep and heat the grill: Heat your grill to medium-high heat (about 425°F) with two zones for direct and indirect cooking. Use tongs to oil the grill grates using a small folded piece of paper towel dipped in oil. 3 Grill the chicken: Arrange the chicken skin-side down over the high-heat section of the grill and cook for 10 minutes. (If you'd like crosshatched grill marks, rotate the chicken 90-degrees halfway through.) Flip the chicken and keep over the hot section for another 8 to 10 minutes. Transfer the chicken to the indirect section of the grill (this helps avoid overcooking) and cook the chicken until it reaches a safe internal temperature of 165°F in the thickest part of the meat. 4 Remove, garnish, and serve: When the chicken is cooked through, remove it from the grill and let it rest for a few minutes. Then garnish with diced scallions and roasted sesame seeds. Serve while warm. Hello! All photos and content are copyright protected. Please do not use our photos without prior written permission. If you wish to republish this recipe, please rewrite the recipe in your own unique words and link back to Chili Garlic Chicken on Simply Recipes. Thank you!